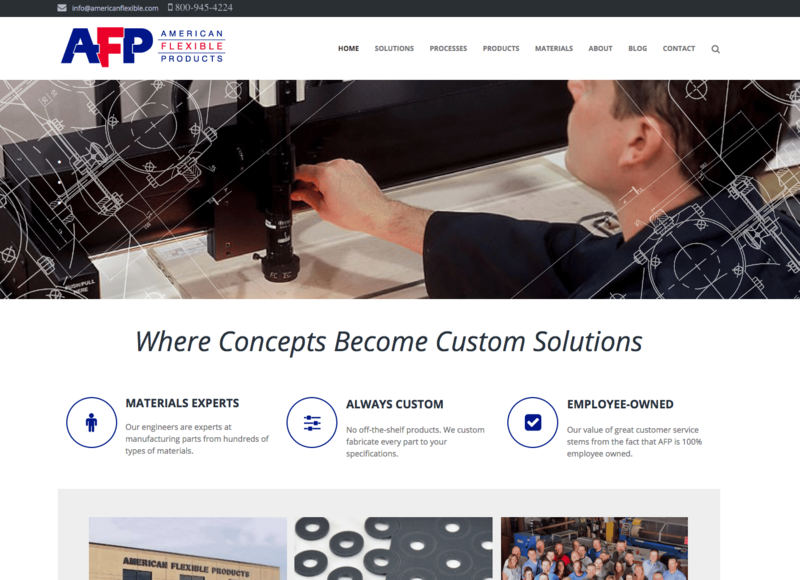 To give you a better experience, we recently had our website and logo redesigned by Creative Graphics in Burnsville, Minnesota. These new designs give us a fresh look while helping you find your products and processes more quickly and easily. 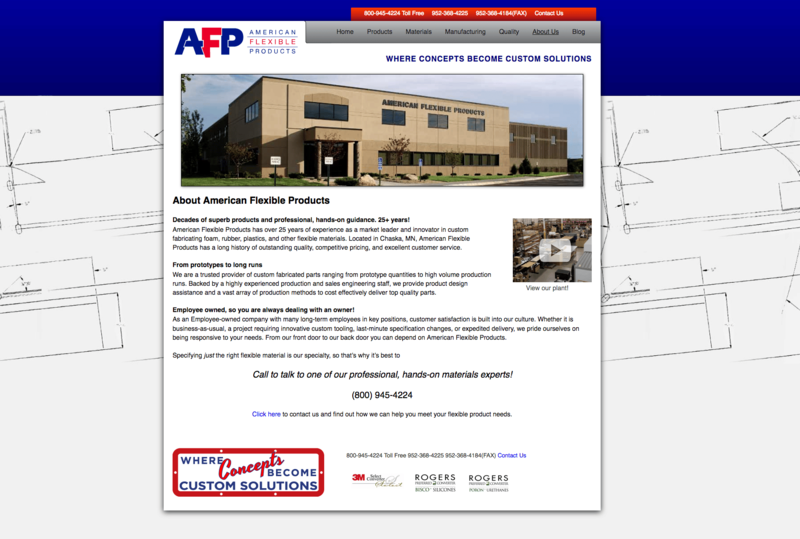 Our previous website had been active since the 90s and while we kept our processes and material selection up to date, the general design and navigation was lacking. Our new website layout is full-width and designed to be more focused while remaining open and less cluttered. All of our product photos are larger and our rich index pages have descriptions to give you a full scope within one scroll. The updated navigation bar has been filled out with every product and material that we offer. Want to find what you’re looking for quickly? You can now land on a material, product or process page with a single click. Like our website, our former logo had served us well but needed a refresh. We wanted a new logo to compliment our website redesignand give off a clean-cut look. A stronger and more modern feel paired with a sturdy typeface gives off a confident presence. The unique cuts and edges in the “AFP” reflect our cutting techniques that our materials experts perform every day. We kept our blue #001689 and red #EB0029 brand colors that help reiterate the fact that we’re proudly an American company. We’re happy with our new look! Take a look around the website. We’d love to hear what you think, too. We’re a nation-wide converter of flexible materials—from foam to rubber to silicone and more. Every product is custom-cut and shaped to your design specs by our materials engineers.